Individual track from Elemental - the second Movement Medicine CD. Movement Meditations for home practice led by Susannah with beautiful music from Be-Attitude's 4 albums, leading you into the dance of earth.Susannah guides a journey to experience the element of Earth as it moves in you right now, right at this moment. Letting the element of Earth inspire your dance and letting that inspiration help you begin to find the next you. Here is the second Movement Medicine CD with 8 guided Movement Medicine meditations for home practice, including "Awakening the Dancer", dancing with the elements and the (new) Star Meditation (9 Gateways and 3 axis of attention). The meditations are led by Susannah with the beautiful music of Be-Attitude. "WOW! So simple, so strong, such a wonderful blessing to have you with me every morning at the moment. LOVE IT" Keef Miles, Yoga teacher and Movement Medicine dancer. Individual track from Elemental - the second Movement Medicine CD. Movement Meditations for home practice led by Susannah with beautiful music from Be-Attitude's 4 albums. It's more expensive thank normal MP3s as it is a long track: 10.33 minutes. Enjoy! A movement meditation for home practice led by Susannah with beautiful music from Be-Attitude's 4 albums. Susannah guides you in awakening the dancer inside you, awakening the body to the sensations and feelings that it holds , bringing them into movement in a grounded gentle, supported movement meditation. It's more expensive thank normal MP3s as it is a long track: 16.14 minutes. Enjoy! Susannah guides you to find how the Sun, the Element of Fire can inspire you in your Movement Meditation - finding how that elemental force can help support your evolution. Susannah guides you to find the quality of the Element of Water in your body heart and mind, letting the Water inspire your dance and the movement of your body be a gateway to change and healing. Susannah leads a meditation that helps you come back to your centre. A beautiful journey that honours the Elements that both surround us and make us. A Movement Meditation that honours our own essential being and it's relationship with all our relations. This is the Star Meditation, a movement meditation to strengthen your connection with the 3 axis and 9 gateways which we work with in Movement Medicine. It is from the album Elemental - the second Movement Medicine CD also available to download or as a CD. It's more expensive thank normal MP3s as it is a long track: 12.30 minutes. Enjoy! 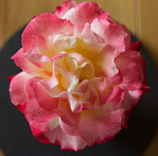 The music that accompanies this meditation is Volker's exquisite The Mystery of the Rose.